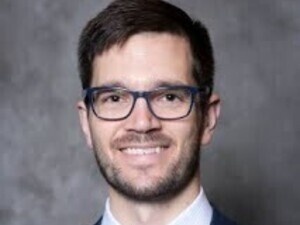 “Broadening the State: Consequences of the Introduction of the Income Tax,’’ will be presented by Traviss Cassidy, assistant professor of economics, University of Alabama. We provide new evidence about the consequences of a major investment in state capacity: the introduction of the income tax. Our empirical strategy exploits the staggered introduction of the income tax across U.S. states, using a new panel dataset based in part on archival data. To account for the selective timing of adoption, we use both a dynamic panel model and a semiparametric difference-in-differences design. We find that tax broadening reduced state population by 4-6 percent in the long run. Total revenue and expenditure initially increased but returned to their original levels after 10 years, due to the population decline. By contrast, total revenue and expenditure per capita permanently increased, with the response led by education expenditure. Consistent with this result, the number of public colleges per capita increased after the introduction of the income tax. Our results show that adopting the income tax allowed U.S. states to significantly increase their revenue-raising capacity and public good provision on a per capita basis. Nonetheless, population mobility provided a partial check on the absolute size of government. Traviss Cassidy holds a PhD in economics from the University of Michigan. Current research areas are public finance, development, and political economy.